Looking for some Low Carb Meal Recipes to try at home? Are you on a mission to lose weight? Or maybe you are just trying to fuel your body in a healthier way? What ever your reason for seeking Low Card Meal Options I am glad you made it to my page! I am going to share with you three low carb recipes I have come across that I really enjoy, and they are pretty simple to prepare as well. Now I don’t know about you, but I want low carb, not low flavor! I have been up and down with my weight most of my life, and in part, that is due to the bland and boring meal options that go with the old way of thinking, plain plain, plain. So I would bounce back and forth between eating right and bingeing. That all changed one day when I had had enough, I would kill myself to drop some weight for awhile and then I would slowly creep back into my bad eating patterns, only to repeat the process. That day I just mentioned, that was the day that I finally realized the Yo Yo dieting I had been doing was just a waste of time! If I wanted real results that would last it was time for me to change my life style completely. The problem was, how could I change my life style without sacrificing flavor and my enjoyment of the food I was eating? So much like you I began looking for that answer, and there it was right in my cabinets all along! Spices and herbs! 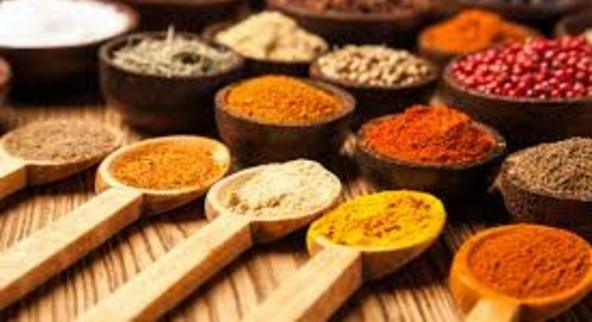 Most spices and herbs contain little to no carbohydrate value at all! It was as if the flavor Gods were shining their light down onto me, the end of boring and bland had arrived! A little bonus is that some spices and herbs such as Cayenne Pepper, Cinnamon, Black Pepper, Mustard, Turmeric, and Ginger have even proven to give your metabolism a boost which benefits both weight loss as well as over all health. Okay so now you know we can eat low carb and yet still enjoy eating, so it is time for me to give you what you came here for. I am going to give you three recipes that I got from Karine Losier, the Lara Croft of fat loss cooking and the co-creator of the Metabolic Cooking Cookbook. Along with these great recipes I have added my personal touch by letting you in on what I like to pair each meal with. I know you are ready all ready, so put on your favorite music and wash your hands, it is time for us to get cooking! Not to worry this one is not over the top in the Hot department, you can easily adjust the heat by skipping the Cayenne or by adding more! First you want to preheat your skillet/pan then reduce to a medium heat. Add the oil and garlic allowing it to heat up, once oil is hot add your shrimp. Saute the shrimp for about 5 minutes or until all of the shrimp are pink (cook evenly on both sides). Add the paprika and cayenne evenly coating the shrimp. Continue to cook shrimp for about one minute stirring the paprika and cayenne throughout. Remove from heat and let cool for two minutes and then serve and enjoy! Nutritional Facts – Here is what each serving has to offer. This one is a total winner, with just a slight Asian twist it is perfect for any palate! Allow oil to heat up in a large skillet, when oil is hot add steak strips and brown evenly. When both sides are well seared, add the onion, garlic, and tomatoes and mix everything together. Combine the ginger, salt, and pepper into a medium bowl and add the vinegar, stirring everything together. Slowly pour the mixture into the skillet, stirring to coat steak strips. Cover and simmer on low until all of the liquid has evaporated completely. Remove from heat and let sit for three minutes to cool, serve and enjoy! Ditch that boring and bland old boiled chicken breast, after this you won’t ever want it again! First combine the lemon juice, sage, mustard, and thyme in a bowl and mix together. Clean, trim, and wash chicken breasts then place onto a plate. 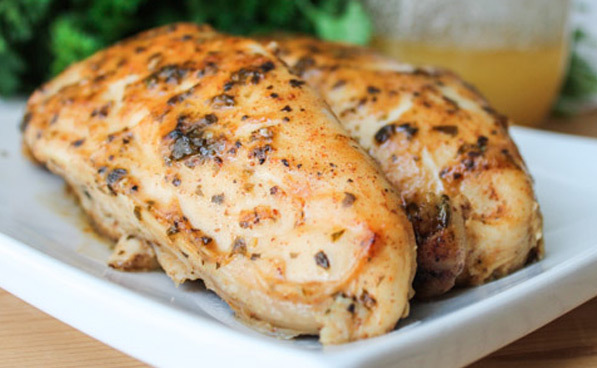 Using about half of the lemon juice mixture, coat chicken breast completely and allow to marinate for 10 minutes. Heat pan on high until hot, reduce heat to medium and coat pan with your favorite cooking spray. Carefully add the chicken breast and cook for five minutes on each side. Use the remaining mixture to coat the chicken at least twice as you cook it. Dice the scallions including the green leafy portion and set to the side. Remove chicken and let stand for 3 minutes to cool, sprinkle the diced scallions evenly over the chicken breasts, serve and Enjoy! Brendon’s Tip – This one is great for lunch or dinner, I like to serve it with roasted Brussels sprouts, sliced in half coated lightly with olive oil and garlic salt and roasted in the oven at 350 degrees F* for 15 minutes. There you have it Ladies and Gentlemen, three of my favorite low carb meal recipes. As you can see they are very low on carbs and high on protein, add the vegetable sides and you have a power house of nutrients with each meal! Give these recipes a try I believe you are truly in for a surprise, I am confident you will love them as I do, especially if you have been stuck on a plain and tasteless diet. If you would like more information about her cookbook I would like to invite you to check out my full Review of the Metabolic Cooking Cookbook, it is packed with tons of great recipes and healthful information. If you would like to receive more articles and recipes like this you are welcome to join the MyBodyMyMind.net Email Club. You will get our latest article and updates delivered right to your inbox for your convenience! That’s it , that is all I have for you today! Thanks for visiting and for checking out the Low Carb Meal Recipes. 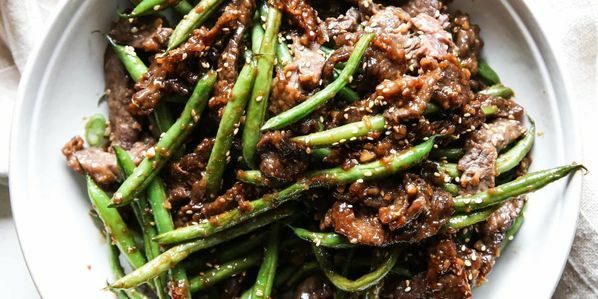 Here are three of my favorite low car meals for you to try! Previous Post Previous post: Muscle Building Breakfast Recipes – 3 Recipes For You To Try! Another great article, I really liked the reading! I don’t have weight problems, but my husband does:) He really needs to lose a few pounds. These recipes look absolutely delicious, I will try them this weekend, and I’ll tell how it goes! I’ve paid attention that the accompaniments are vegetables. I didn’t see any rice. Isn’t brown rice low carb as well? Back for more I see! Makes me smile to know you are enjoying the site so much! In the case of your husband and his need to drop a few pounds, stick with the vegetables, add a second veggie to each meal if he would like more variety. While he can have some carbs, in order to drop the weight he will need to at the very least restrict himself to less than 30 grams of carbs for the day. The brown rice is all fine for you, and you can add whatever side dish you would like. How ever for your hubby that brown rice can be bad news. There are a total of 45 grams of net carbohydrates in each one cup serving of brown rice. For weight loss it is best to steer clear of grains all together, he will get all of the nutrients and fiber he needs in the vegetables. i am glad you are going to give these a try, please do let me know what you think! 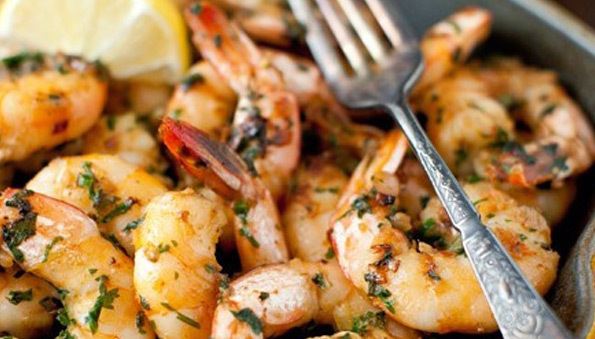 I’m gonna bookmark this so the next time I get shrimp, I can try it out! Have you ever worked with any raw food recipes? I heard that’s another inexpensive, but delicious way to eat healthy. I don’t know too much about that though. You are going to love that Hot Paprika Shrimp recipe, it is a great way to enjoy a little bounty from the sea! I have not really done much with raw foods, a little sushi, salmon, and tuna but not much beyond that. i will be getting an article out on those soon, so check back often as I am always adding new recipes as I go. I will look into other raw food recipes and see if I can find a few good ones to put up here. thanks for visiting and I hope to see you back soon! What lovely recipes from the Metabolic Cooking Cookbook, thank you! I’m a vegetarian but I love checking any (meat/fish) dishes and try by substituting with tofu or vegetarian-meat products. Particularly the ginger spiced beef looks & sounds like a great dish, I must try that, and I should really get the book – it’s only $10 right now? I’m actually desperate to find out about low carb dieting, because being vegetarian, I tend to eat to many carbs such as pasta, potatoes & bread, hence find it really difficult to lose weight. Like you suggest, I am learning about spices & herbs and how they are the key to giving me a variety of flavors to what I eat. You will be happy to know that there are dozens of vegetarian recipes included in the Metabolic cooking Cookbook. Also you are correct, the cookbook is currently only $10, how can you beat that? Over 250 recipes for about the price of a value meal at your local fast food joint! You can also help yourself by adding protein shakes into your diet as a meal replacement, as a vegetarian it is important that you maintain high levels of proteins in some way to protect your lean body mass. Spices and herbs will help you keep the flavor in your diet, and in most cases they are weight loss friendly, so don’t be afraid to add some to any of your meals. Keep me posted on your progress, I want to know how it goes for you!